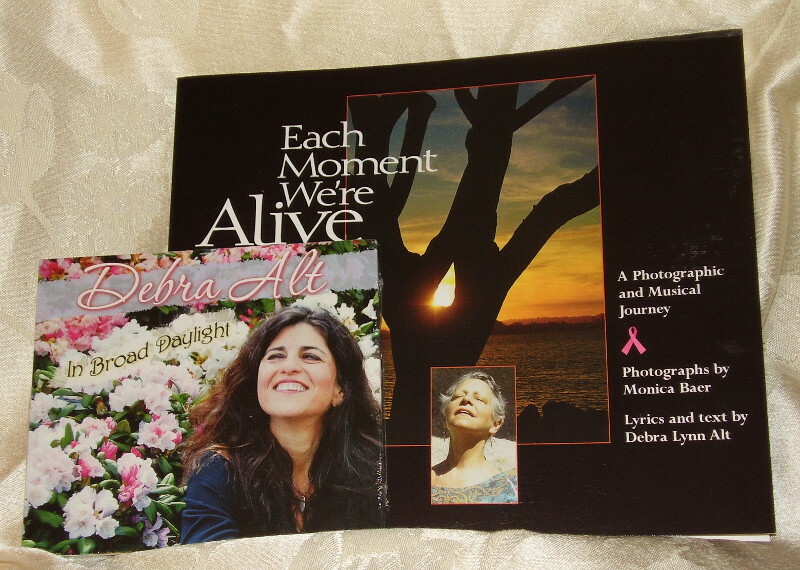 A CD of Debra Alt’s songs and a book of Monica Baer photographs with Ms. Alt’s lyrics & text. The works were inspired by the singer’s and photographer’s friendship and their experiences with cancer and survivorship, and life. Ms. Baer was a wildlife photographer and her photos beautifully illustrate the songs and feelings they shared. In loving memory.